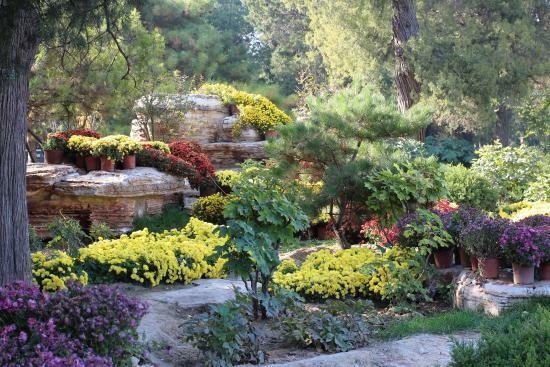 Beijing, being the Imperial Capital, is filled with beautiful gardens fit for the Royal Emperors and Empresses who lived in the Forbidden Palace. 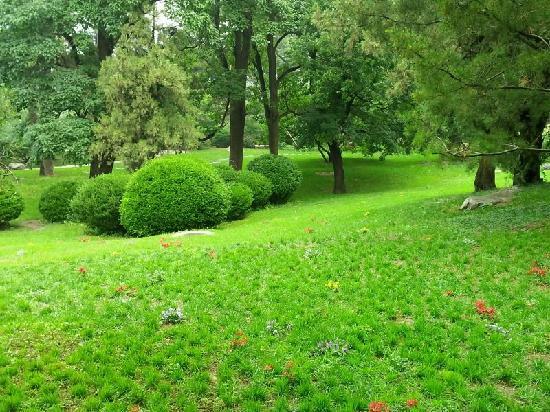 Fortunately these Imperial Gardens — now public parks — have not lost their splendor, with tourists and locals flocking there to enjoy some peace and quiet away from the city life. 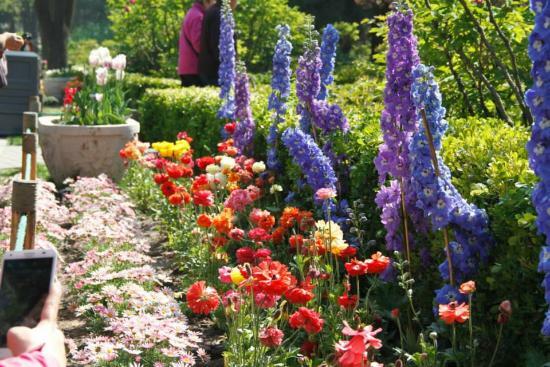 The majority of local park admissions are very cheap, to keep it affordable for local residents. 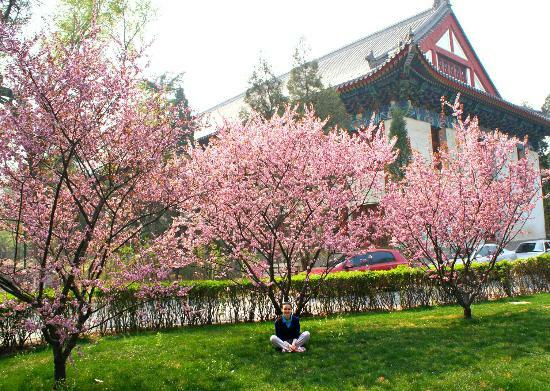 Parks with major attractions like the Temple of Heaven are more expensive. The subway system is a cheap and convenient way to get yourself around the city. Buy a prepaid transportation "IC Card" for convenience when using public transport. If you feel adventurous, bicycles are a great way to explore the neighborhoods and parks dotted around the city. A lot of local residents practice Tai Chi, dance, or other activities in the parks — be respectful and ask before taking close-up pictures of them or joining their activity. Purchase a trendy pollution mask to fit in with the locals, and protect your lungs! The Botanical Gardens are about a 40-minute drive from the city center, allowing you to get away from the hustle and bustle of the city. 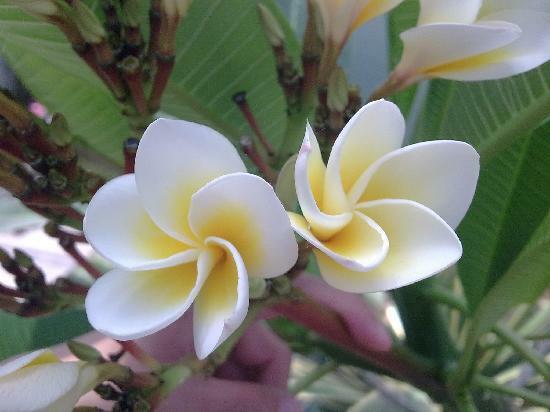 Great for leisurely strolls and getting some 'fresh' air, the gardens are made up of 12 unique areas specializing in over 6,000 different species of plants. 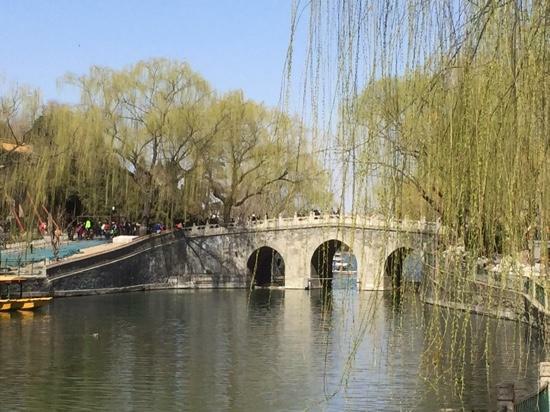 Great for the entire family, it's a nice change in pace from the other parks within Beijing. 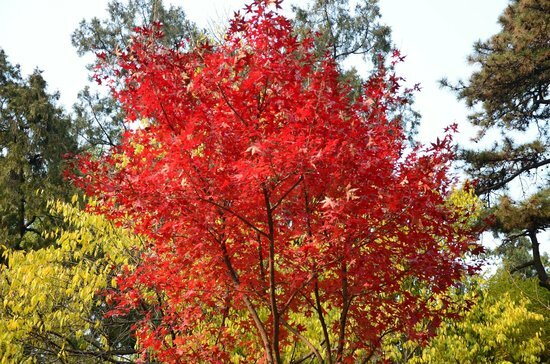 Close to the Fragrant Hills Park — so both can be done together in a day. Most taxi drivers will drive you there. A short drive out of the city, Fragrant Hills park has been popular with Emperors for many dynasties, and it's easy to understand why. 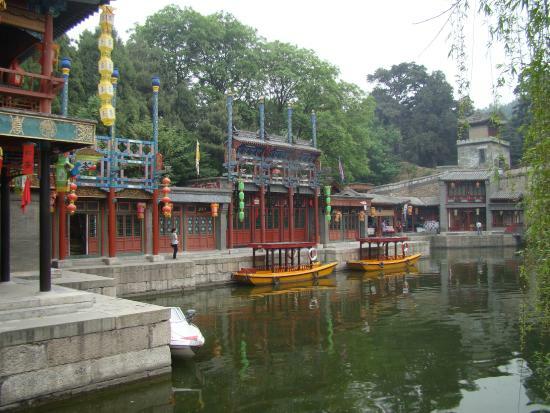 This area was developed from 1186 and offers a great mix of temples, pavilions, and palaces dotted around the park, along with great natural scenery. 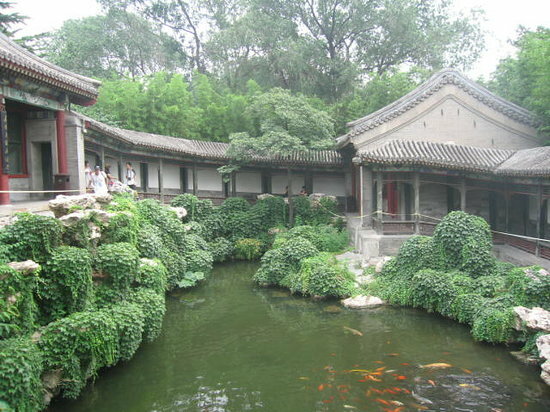 The park also has historical significance in more recent times as Mao lived in a villa here when he directed the final battles of the revolution in 1949. There is a 20-minute cable car ride to the top of Xianglu Peak (Fragrant Hills) for a panoramic view. 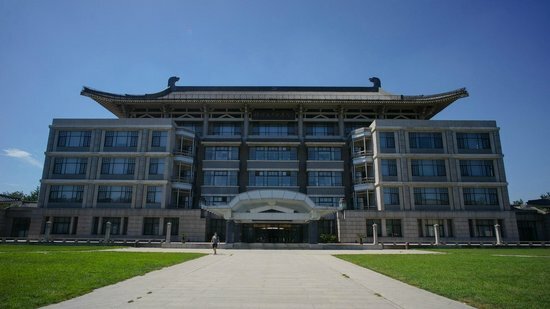 Not your traditional tourist attraction, Peking University is one of the most prestigious universities in China. 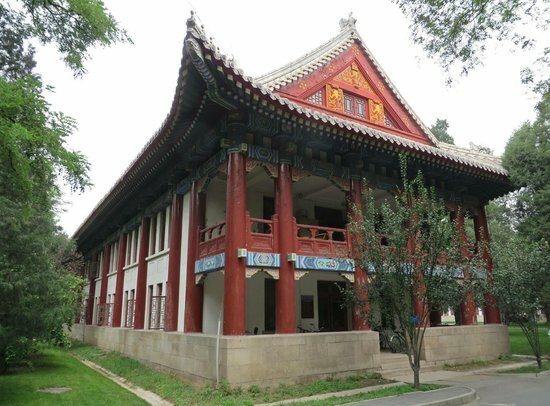 A stroll around this well-designed and beautiful campus, full of historical sites, gives you a glimpse of university life in Beijing. The campus is well known for its traditional architecture preserved in many of the older buildings. Try out the local cafeteria for the student experience! Sometimes there are lines to get into the campus. Go early to skip the rush. You may be required to present identification or a passport. 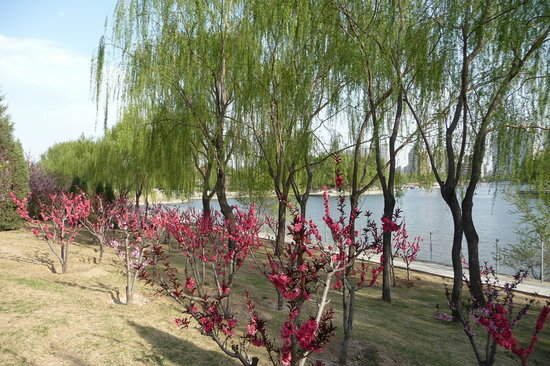 Chaoyang Park is Beijing's equivalent of Central Park. 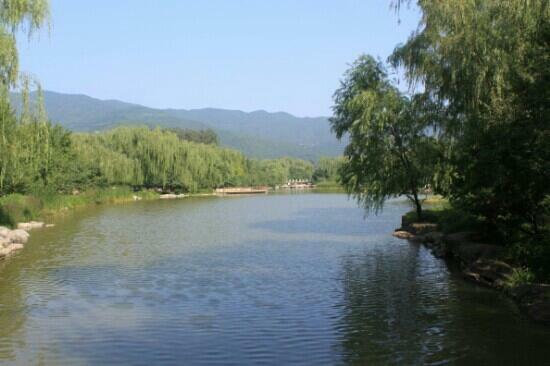 Spanning 2.8km in length and 1.5km in width, it is certainly Beijing's largest park. 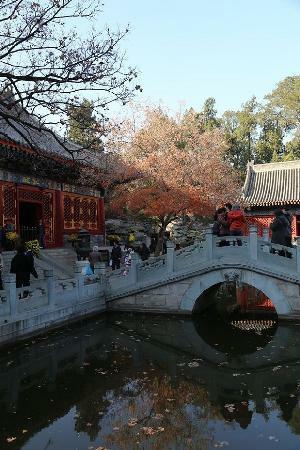 Located conveniently in the city, it doesn't have the historical and architectural attractions of other parks in Beijing, but is more of a family-friendly attraction. What it lacks in pagodas and temples, it makes up for in open green spaces. 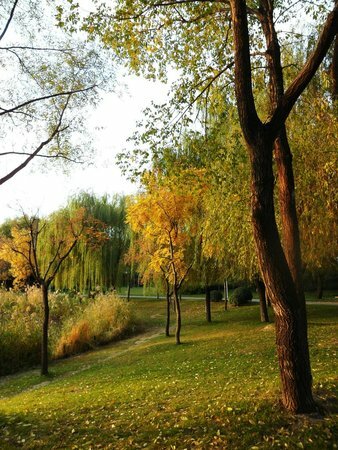 Very popular with local Beijingers, the park features gardens, fairgrounds, grassy knolls, a few small forests, and swimming pools. 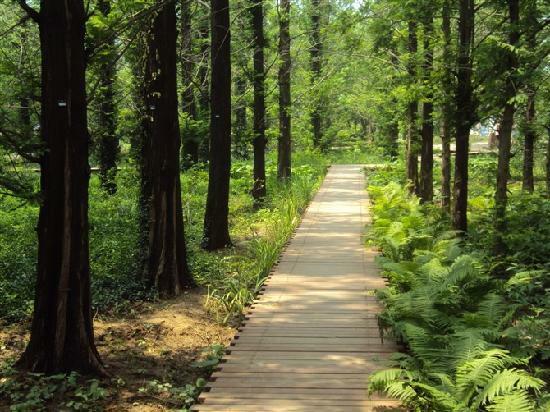 Chaoyang Park has a bit of everything for the entire family. There are multiple entrances to the park. The beach volleyball competitions for the 2008 Olympics were hosted here. Infamously, the Empress Dowager Cixi diverted three million silver taels from the Chinese Navy to the enlarging and rebuilding of the Summer Palace. One of Beijing's many UNESCO World Heritage Sites, the Summer Palace is the largest and most well-preserved imperial garden in China. 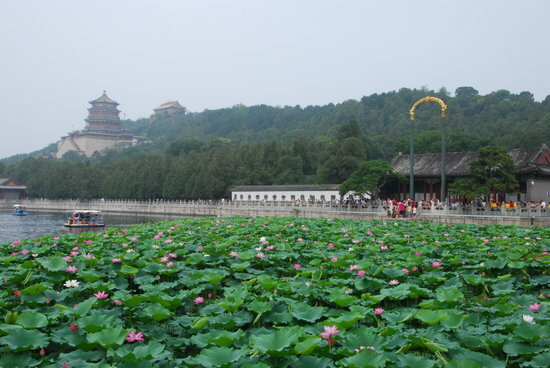 Situated around the picturesque Kunming Lake, the entire palace spans over 700 acres (283 hectares). 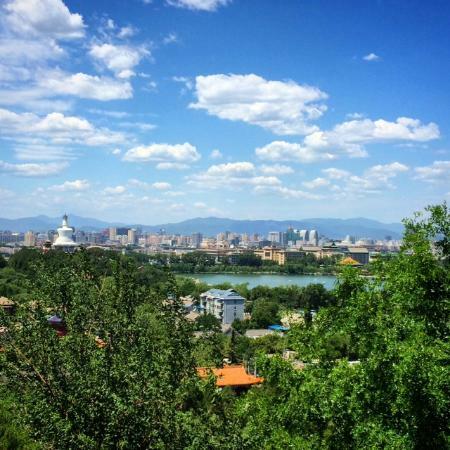 With stunning scenery, beautiful architecture, and a rich history, The Summer Palace is a must-see sight in Beijing. Take the metro to Beigongmen if you want to take public transport. Taking a boat ride across the lake to the other side is a fun way to cover more ground. Buying a map is worth the investment as the palace grounds are huge. Being almost like the backyard of the Forbidden Palace, Jingshan Park offers one of the best vantage points to see and photograph the palace. It's a quiet park, frequented by locals, and a great place to escape the hustle and bustle of the city. 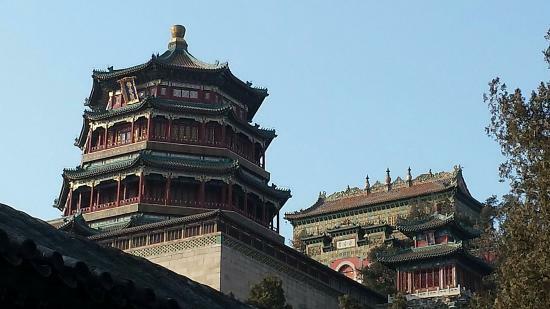 Jingshan Park also has significant historical context — the last Ming Emperor hung himself here, ending the Ming dynasty. 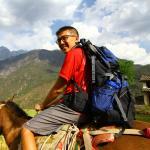 Hike up to the highest point of the park at sunset for great views of the Forbidden Palace; a 10 to 15-minute walk. Great for observing local life, such as people practicing tai chi, calligraphy, dancing, and other hobbies. The entrance fee is very affordable! Right in the middle of the central business district, this often-overlooked park is a nice break from your shopping and exploration of the city. 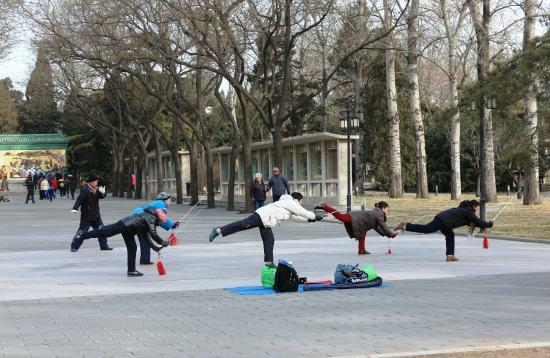 Conveniently by the metro station, it's a great place to watch locals practice tai chi and qigong and is one of the more peaceful parks around town as not many tourists know about it. 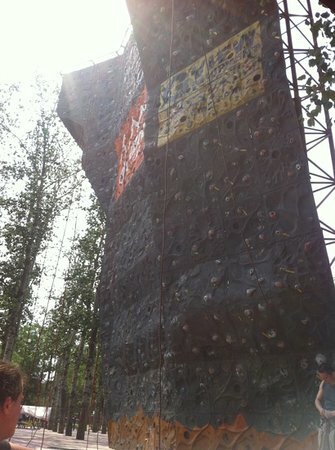 There is a rock-climbing wall inside the park, for a nice change of pace and you can rent equipment there. Drop by the Stone Boat Cafe for a laid-back drink among the pretty scenery. The park is popular with the expat population. 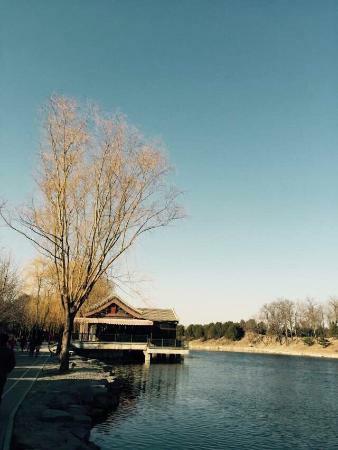 Another Imperial garden turned into a public park, Beihai park is one of the largest Chinese gardens in Beijing. More than half of the park is a beautiful lake, with the center of the park featuring Jade Flower Island, with the famous White Dagoba. 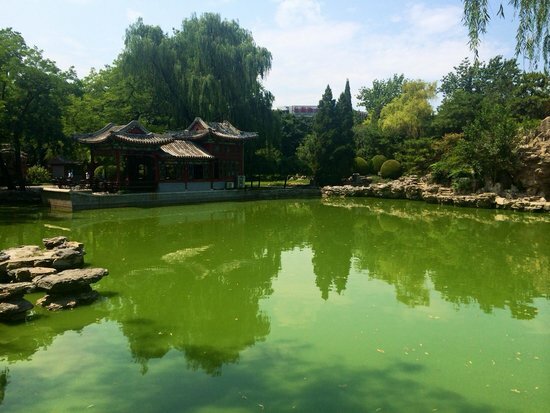 The entire park is dotted with various pagodas and pavilions that are historically significant — don't miss the Five Dragon Pavilions, Nine-Dragon Screens, and the Hao Pu Creek Garden. 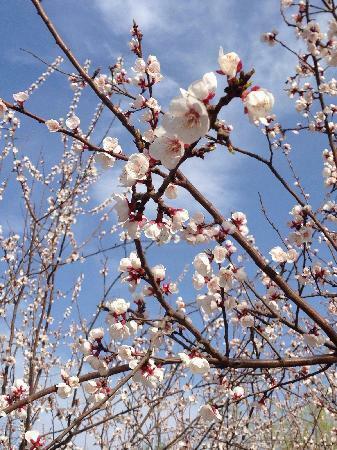 Opening hours vary with the season so check online for details.